SHERRY CHAMBERS is a Gifted Intuitive Medium. Using her talents of clairaudience, clairvoyance & light channeling, Sherry is able to see and speak with your guides and receive the answers and information you are seeking. She brings forth answers and information from your Spirit Guides and Angels to direct you on your life’s path and your soul’s journey. Her intention is “to empower you to work with your Spirit Guides and Angels, finding the solution to your individual situations using the Universal Laws of Creator.” She has studied with spiritualist mediums, psychics and healers from the USA, Canada, U.K. and Australia. 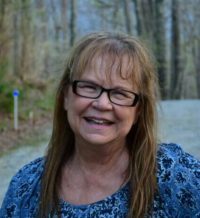 Sherry is available for readings on Mondays, Tuesdays, Second Saturdays and Fourth Fridays. Sherry is also available (by appointment Mondays and Tuesdays, but space is limited) for ENERGY BALANCING, CHAKRA CLEARING, CELLULAR REGENERATION AND REGRESSION THERAPY AND REIKI sessions. She is an experienced Healer with over 30 years experience. Sherry can access the divine healing energy from Source to help restore a healthy state of being. She can help release limitations and blockages to bring the energies of the body, mind and spirit into balance renewing and restoring a positive energy flow. Reiki is beneficial in reducing stress; clearing and balancing energy; improving health and immune system; and encourages the body to heal itself. Using her talents of clairaudience, clairvoyance and light channeling, Sherry is able to obtain information from your Spirit Guides and Angels to help you on your healing journey. Healing sessions are $40 (cash) for 30 minutes.